With many companies who offer telephone, video and internet, signing up for service means signing a service contract for a specified period of time, or paying a hefty fine to cancel early. Not with HolstonConnect! Our customers are not required to sign a contract. Sometimes the contracts come with a promotion, like a premium channel for free for three months or promotional discounted pricing. 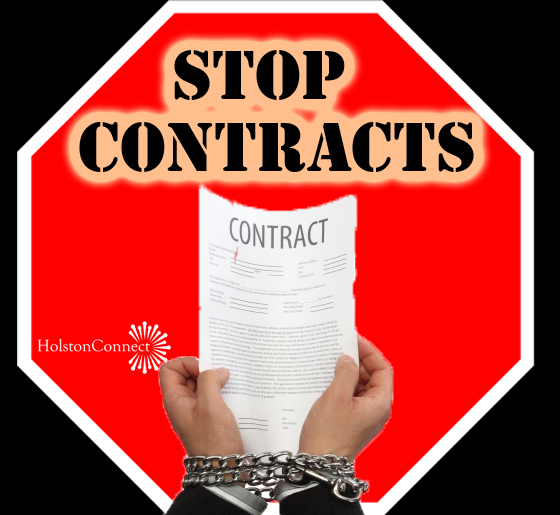 No contracts from HolstonConnect mean no promotional pricing; so there is no increase in price when a promotional period ends. Being locked into a one or two-year contract makes switching to another provider expensive when you have to pay a hefty termination fee on your existing contract. HolstonConnect knows that customer service, excellent quality and superior reliability are the reasons customers should stay - not because of strong-arm tactics. HolstonConnect offers straight-forward pricing without complicated bundle structures too. All customers pay the same amount for the same level of service to their home. Owned by the customers served, HolstonConnect doesn’t believe loyal patrons should pay higher rates. There is no comparison. HolstonConnect offers the fastest residential internet speeds throughout the region. When selecting your service provider, make certain you are getting the most bang for your buck. HolstonConnect offers our residential Vault internet service with upload and download speeds up to 300 Mbps at $49.95 for dependable access to email, web browsing, video streaming and all your social media needs. What speeds can others offer you for the same amount of money?